News Blog | It's A Mystery To Me! Here's some of the latest news about our shows, dates, the ocassional road trip, and other events involving the actors. Please check back frequently for new posts and comments. We would appreciate any visitor interaction; please use the comment form under each post to contribute. TONIGHT: If you're in - or near - Brantford, you should get out to this show: Abbamania, Adele, Cher, Bowie, McCartney & BeeGees. 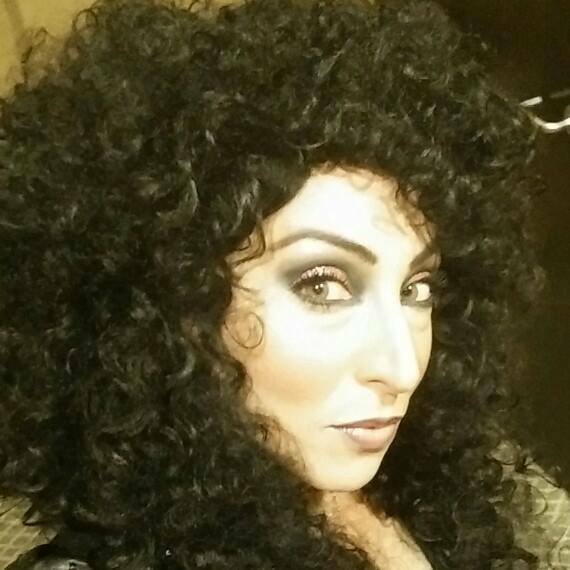 Here's some press Kara got: (click and hold to highlight for easier reading) With her uncanny resemblance to the famous star and with 10 years of theatrical experience in musicals behind her, Kara Chandler personifies Cher without any difficulty at all. She embodies the living legend on stage in a way like no other can. Now, after 6 years performing her Cher - Believe show in dinner theatres, casinos and concert halls, Kara has built a reputation as one of the top Cher tribute artists in the world. Her combination of boundless energy, charisma and talent lets her easily morph into her alter ego Cher and give audiences the powerful and unforgettable experience that only a true star is capable of giving. Like Cher, Kara Chandler is an entertainer of the highest order. Fortunately for us, she still makes time to come out and play in the mysteries once in a while! Here's a blog that's worth re-posting. "Be Good" Have a look; this is one terrific person. A sample of our fun in 2016. Come see him in: Murder on the Air! Does Kijiji work well for you? I'd love to hear from other entrepreneurs. It seems like Kijiji has changed, or maybe other, social media, has taken over. It's interesting figuring these things out. What are your experiences? "Juan & Wanda Wanna Marry" got a story in the Norfolk News this week. ‘Juan and Wanda Wanna Marry’ is a unique piece of interactive theatre. Come on out and watch the sparks fly: between the flame of love, and the heat of old rivalries... It’s a show, it’s a wedding, it's Valentine's - and you’re right there in the middle of the celebration and the fun! From Halloween through to St. Patrick's Day is our 'busy season', and we've loved getting out to see all the different towns and audiences around Southern Ontario. Kudos to those people who put so much time and effort into organizing fundraisers for their community's needs!